Over the next couple of months I will do a series of posts about the International Toy Fair in New York held in February. Thousands – literally – of toy companies present toys that will be coming out during 2012 and the rest of their product line too. It can be overwhelming and so I carefully limit my interests and plan which companies I will visit. Hasbro generously sponsors a spectacular event at their showroom and LitzkyPublic Relations is kind enough to invite me. 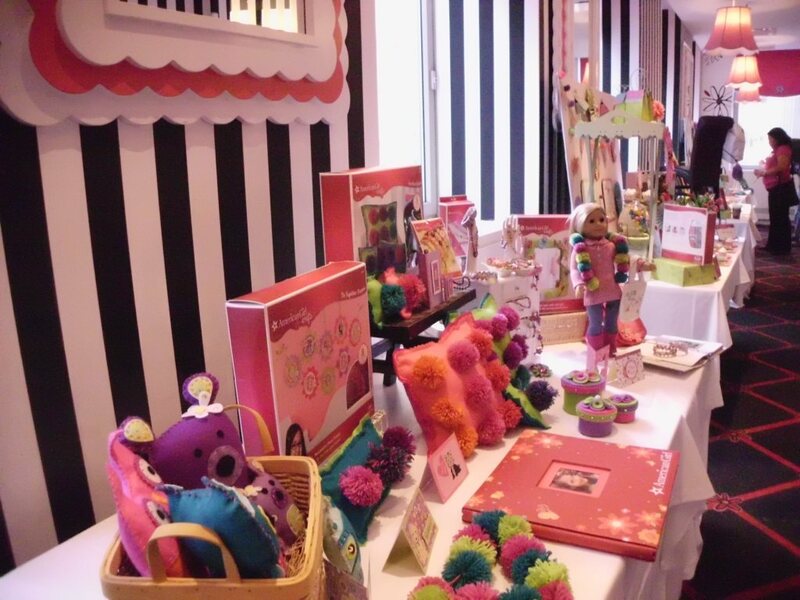 Hasbro has many product lines and this is a BIG event where we get to network with other bloggers, party AND have presentations about all the new toys. And we get to see and touch the toys. You really get to be a kid in a candy shop. 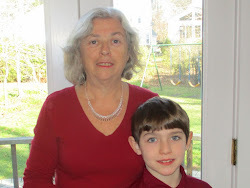 My highlights represent what I think my grandparent readers may be interested in. I stay away from the electronics, toys that involve anything that looks like violence to me, and frankly, toys that I just don’t understand. Some of the mommy and dad bloggers on tour with me were going crazy over this stuff but I will leave it to them to write it all. Today's highlight is Mr. and Mrs. Potato Head. Hasbro is celebrating the 60th anniversary of Mr. 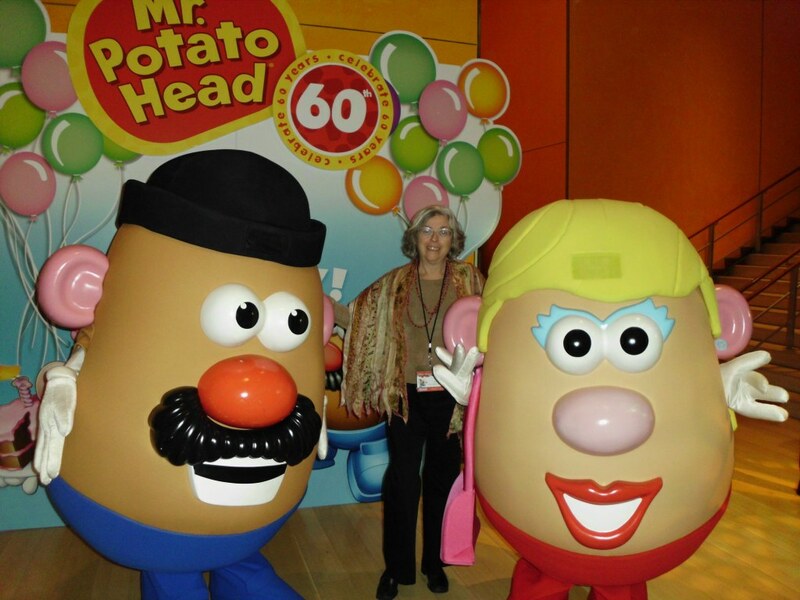 Potato Head and the event started off with a party complete with party games, mimosas (hmmm – what a treat), cupcakes and a visit with Mr. and Mrs. Potato head themselves. Here I am having my picture taken with them. Hasbro has many different varieties of Mr. Potato Head these days and for the 60th anniversary there is the limited edition MASHLY IN LOVE MR. AND MRS. 60TH ANNIVERSARY EDITION. The happy couple can hold hands and show off their rings as they celebrate the big day. The 22 piece set includes Mr. and Mrs. and lots of accessories: Holding hands, Top hat and tux, veil, wedding head band and more. This set can be enjoyed by grandparents playing with grandchildren. It will bring back memories of a toy you played with yourself - albeit updated. And....still no batteries - that's a big plus. It can be the backdrop for sharing family history and stories. I can remember when we used a real potato and put the Mr. 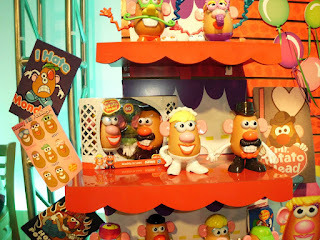 Potato Head pieces into the potato. 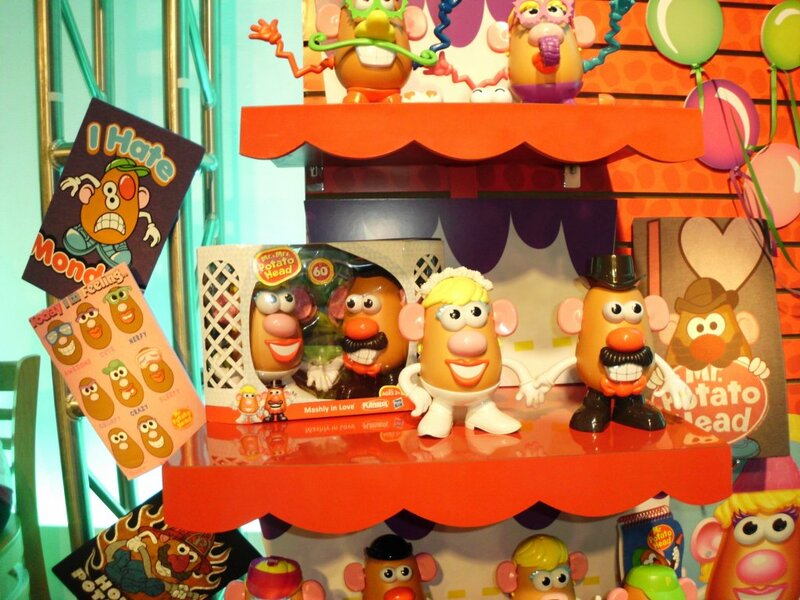 And in fact I learned that the plastic Potato Head body was first introduced in 1964. Here’s another historical fun fact: In 1987 MR. POTATO HEAD surrendered his signature pipe to U.S. Surgeon General C. Everett Koop and became the official “spokespud” for the American Cancer Society's annual Great American Smokeout campaign – a role he carried for several years. Do you remember playing with Mr. Potato Head? Do you remember some special sets – I wrote about the Toy Story one a couple of years ago and that post still gets visited frequently. Please leave your comments and share with us. The new Mashly in Love set is on store shelves now and you can order it at Amazon – click below. I’ll be writing soon about Hasbro’s Sesame Street, Chuch trucks, new play doh sets, My Little Pony and more. Be sure to check back soon – or better yet subscribe to the blog. 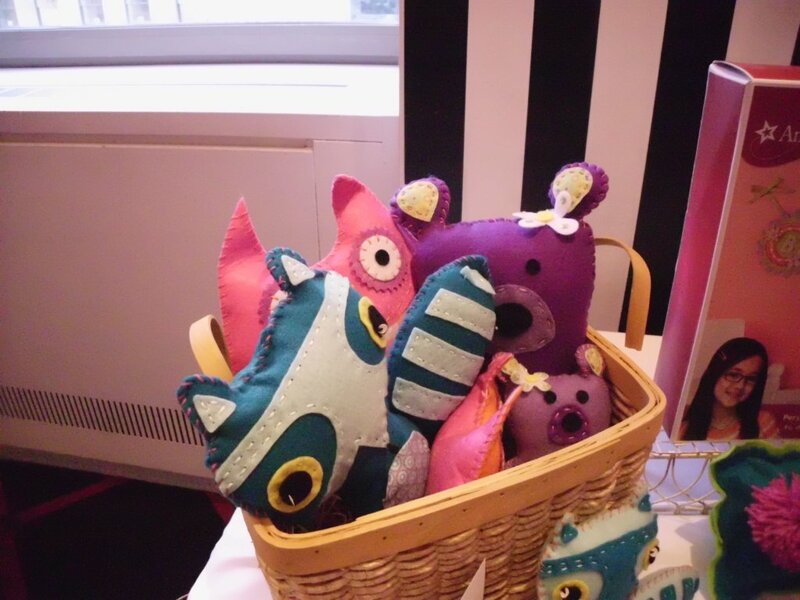 Crafty Grandmothers – This Is Especially For You! The International Toy Fair in New York begins on Sunday but the pre-show events are well under way. I have been choosing my pre-show invitations carefully so that I’ll get to see the things I want to write about and that I think grandparents in particular will be interested in. 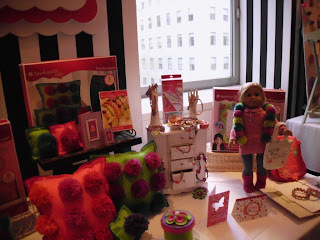 On Tuesday, I made my first trip into New York to the American Girl Crafts event held at the American Girl Cafe at their flagship store on Fifth Avenue. What a delightful morning I had. Many of you grandparents remember the original American Girl dolls. They were historical characters first introduced in 1986. 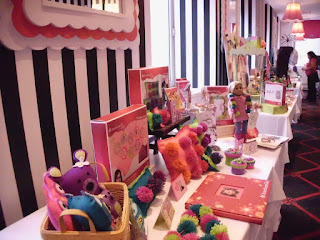 They were high quality dolls featuring period clothing, books and accessories – all with a theme related to the specific doll. I remember that my daughter’s friend, Maggie, had Molly who looked just like her. They even had the same eyeglasses and they always looked so cute together. The line is now much bigger, featuring modern characters and a “Doll of the Year” only available for one year. 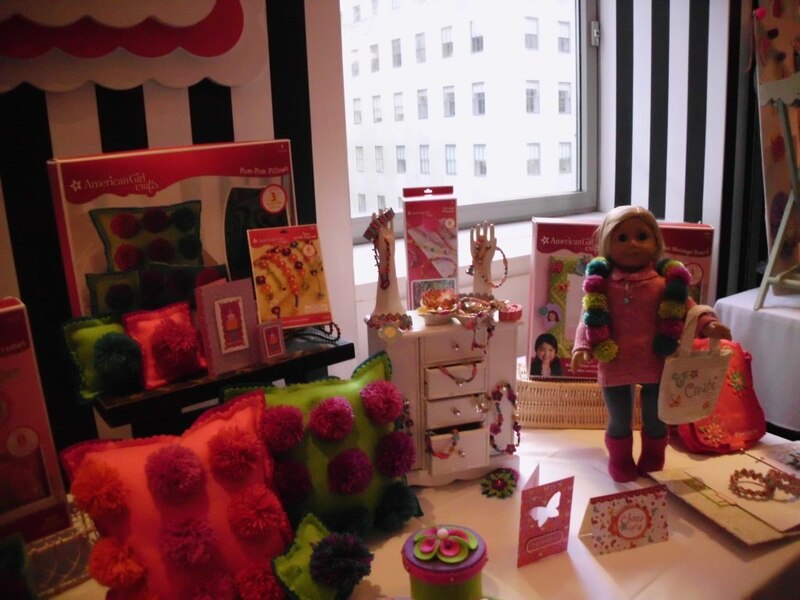 In 2009, through a partnership with EK Success Brands, a leading craft company, the American Girl Crafts line was launched. 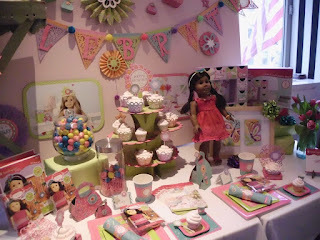 Since then an extensive line of crafts that compliment American Girl products have been introduced. The items in these pictures are favorites available now including the Pom Pom Scarves Kit, Bears and Owls Sew and Stuff Kits, and Funky Felt Box Kit. The first two has great reviews at Amazon. 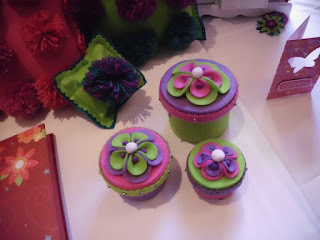 You can be the first to review the Funky Felt Box Kit. It is definitely for girls ages 8 -13 and not younger ones. The kits are very complete with everything you need and have good instructions so the girls will be able to complete the craft and be proud of their own creation. These are wonderful gifts for a “crafty” grandmother to give to a child and introduce them to crafting. It is something you can do together and help if needed. Many girls this age enjoy crafts and this can be an enjoyable way to have a cross generation experience together. There are some things suitable for younger children too. I especially like the stickers as I find they are very popular with younger children. If a young girl loves her American Girl she will love the party line to play with friends and their dolls. This cupcake stand will be a hit at any party for girls and their dolls – even younger girls. Some of the other items in this picture will be available later this year and I'll cover them in a post then. This craft line is very reasonably priced, and available at Michael’s, ToysRUs and online. If you have a granddaughter who has and loves an American Girl doll, you may want to introduce her to American Girl crafts. There is a wide range of products available and they are fun, encourage creativity and an opportunity to develop some new - and old fashioned, but you don’t have to talk about that part – skills. I’ll be writing more about this line as some other products will be introduced later this year.